The whiteboard below is problem #16 in Chapter 19 of Giancoli Physics 5e. Of all the homework problems, students found this one the most challenging because they had to reason through it conceptually and couldn’t fall back on numbers and equations to provide the answer. 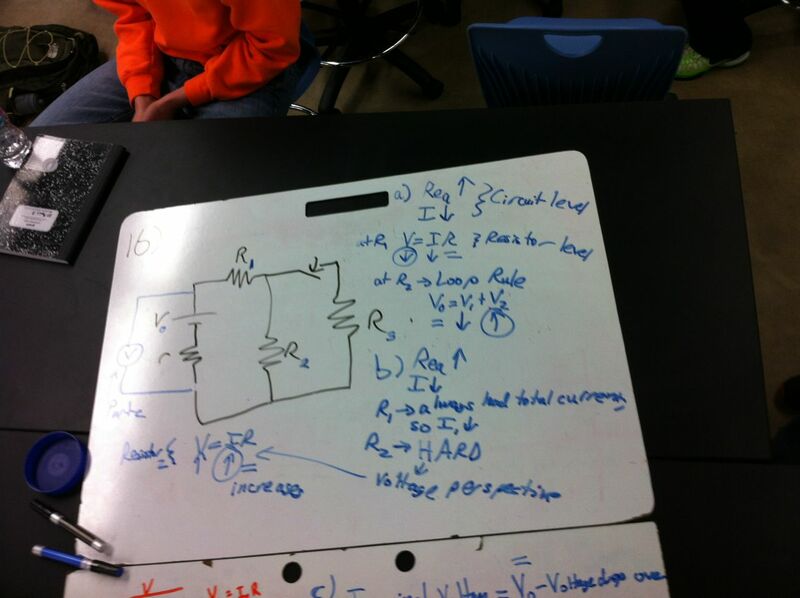 The problem was the circuit as shown on the whiteboard and asked how the voltage and current associated with each resistor changed when the switch was opened. (It also asked about how the terminal voltage changed.) I like how this group captured their thought process and showed their long chain of reasoning.